Worth taking a look click on below. 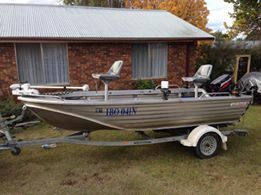 The Easter long weekend was a little up and down in places but overall the fishing was good. Providence was the place to be for most fishers with some really good results with fish coming in over the 10lb mark. Most fly fishers have been doing well on the larger flies ( Muddlers, woolly buggers, Mrs Simpsons) late in the afternoons with most fish being Browns. Good reports coming from Yens bay Seven gates, Anglers Reach and Providence. In the last 24 Hours we have had over an inch off rain and still falling all rivers are up and running well with reports off fish starting to run up the Eucumbene and Thredbo river. Things are starting to happen on both rivers now yes it sounds a little early but with all this rain and cold weather it’s looking good. 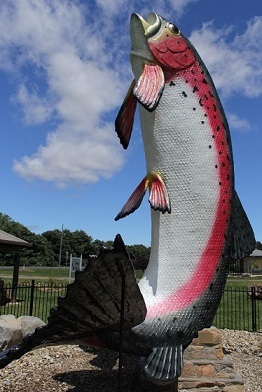 Most reports on the river at Eucumbene are down at the mouth with browns around the 2lb mark and on the Thredbo river reports have been good with the browns going up passed the hatchery. This is a good time to start with two Nymphs and as the weeks go on the glow bug and Nymphs will best the best flies overall. 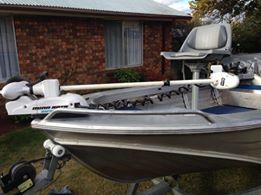 Best areas on lake Eucumbene are Providence, Anglers Reach, Old Adaminaby, and it’s worth a look up the river things are starting to look good. 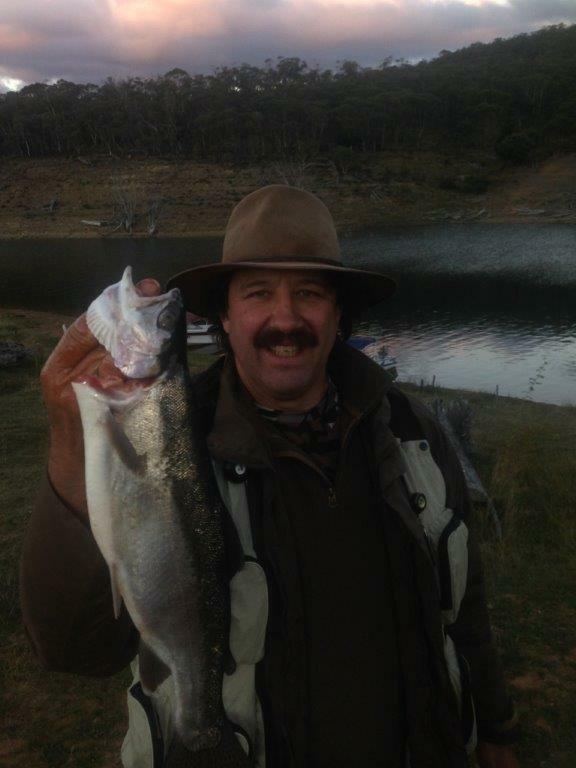 Over at Jindabyne the lake has been quiet with not many reports coming in but after all that rain i would be heading to the western side off the lake look for all the gully’s there has been plenty of food washing in try the larger wet flies you should have some luck. The Thredbo river is running and the fish are starting to run not in big numbers yet but it’s starting. So like Eucumbene try two Nymphs remember you must get to the bottom to have any luck. Here are a couple of photos, we didn't catch a lot of fish, but all were really fit and went well!! 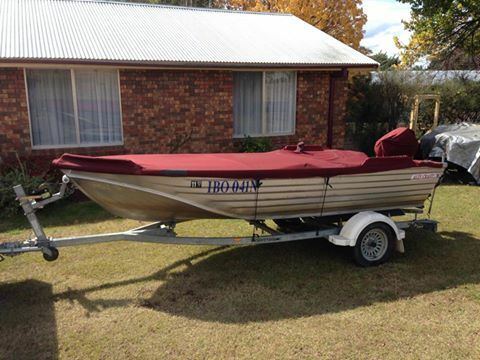 TROLLING LAKE JINDABYNE Early mornings have been good as well late in the afternoons like your bait fishing the trolling is all good over on the western side off the lake. 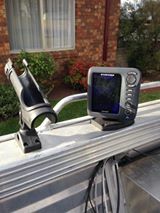 fish per boat on tassies & mudeyes.